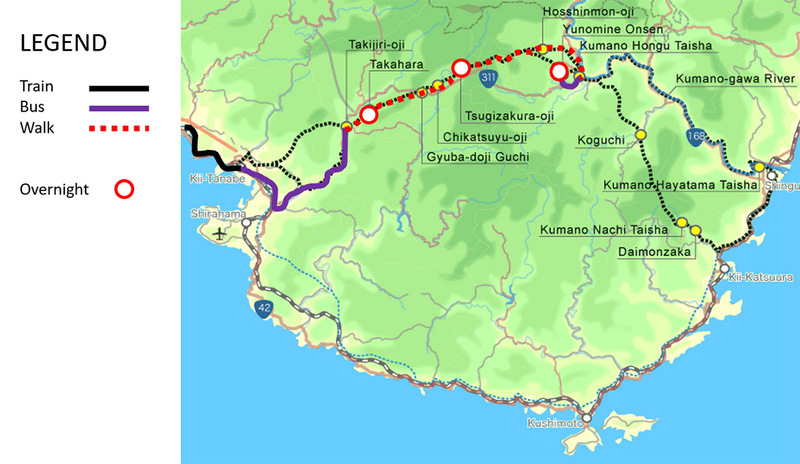 This itinerary is based around one half day walk and two full day walks on the Nakahechi route of the Kumano Kodo from Takijiri-oji to Kumano Hongu Taisha, with an overnights in Takahara, Nonaka area, and finally in Yunomine Onsen after the walk. WHAT IS A MODEL ITINERARY? Model Itineraries are sample travel plans to help you organize your trip, an easy way to add contents to your cart that match your itinerary. These are not package tours. You can use them as they are, adjust them to your needs, or contact us for more ideas. Price depends on which accommodations and services you book. All prices are online for your reference. NOTE: If you cannot arrive by 12 noon at Kii-Tanabe station, as there is not enough time to complete the walk if you arrive later than this, (or Takahara is fully booked) then it is best to stay the first night in Tanabe. 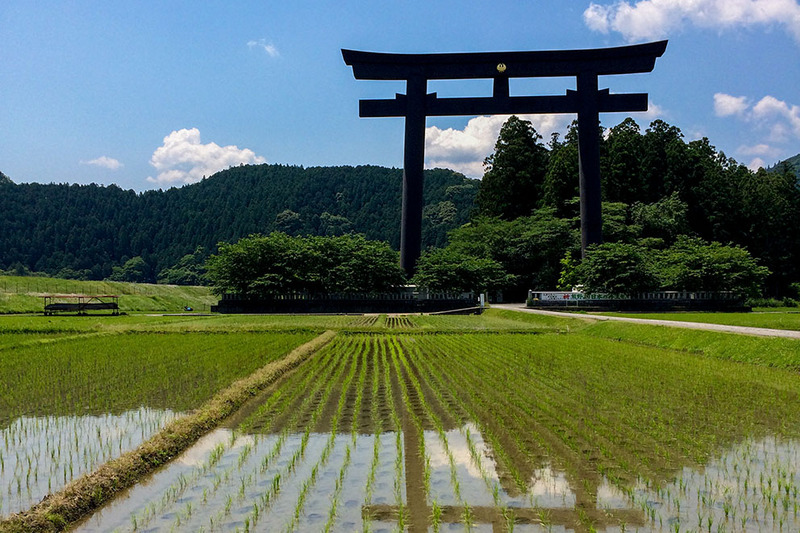 The Kumano Kodo Trek - 4 days | Nakahechi, Takijiri to Hongu | Itinerary 2 is a better option. Ancient pilgrimage route network in the Kii mountains. 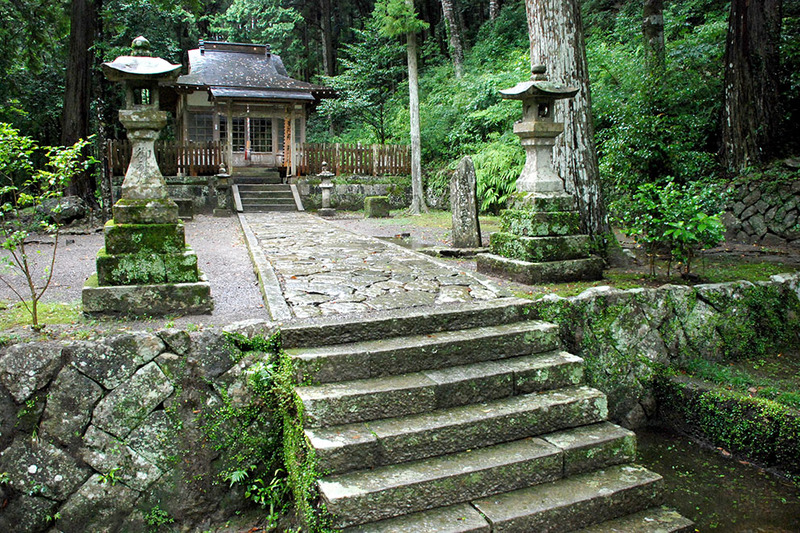 One of three Kumano grand shrines. From traditional Ryokan inns to family run guesthouses. Japan’s spiritual hot spring on the Kumano Kodo pilgrimage route with over 1800 years of history. Immerse yourself in Japan’s country side culinary traditions. Preparation and planning is the key to a safe trek in the sacred Kumano mountains. Choose a route that you have adequate experience and physical strength to safely complete. Wear appropriate clothing and footwear, and carry necessary gear. NOTE: Details sometimes change, especially bus schedules, so please double-check times before your trip. If you notice something incorrect, please let us know. Thank you! The Nakahechi route is open year round. Summer can be hot and humid, and winter has a slight possibility of snow at higher elevations (from end of December to end of February) although it usually melts shortly it falls. The winter months have shorter daylight hours. Japanese national holidays and long-weekends can be busy so best to avoid (especially golden week in the beginning of May and Obon mid-August). NOTE: It is often best to come mid-week as capacity is limited in smaller villages along the trail. 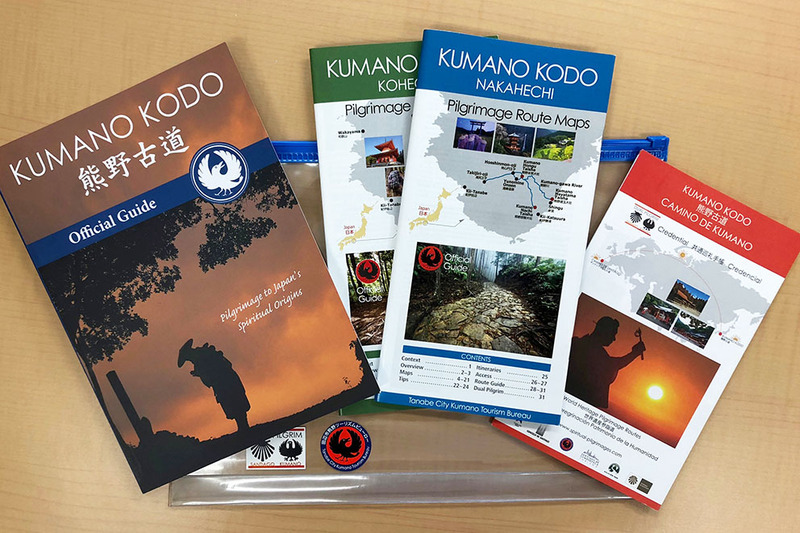 There are many useful resources related to the Kumano Kodo pilgrimage routes. Please use these to make the most of your trip. 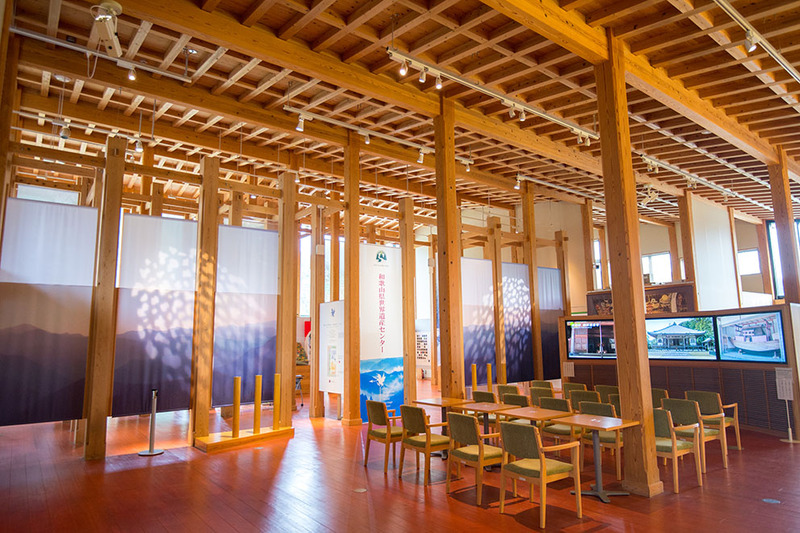 Maps and Official Guide Book, are available onsite in Tanabe. Online “Pilgrim Packs” including these materials can be mailed in advance. Are you a Dual Pilgrim? The itinerary below is a sample. Only the products and services that you book are included. For example if you would like lunch boxes or daily luggage shuttle, these must be reserved in advance. They are not included unless you book them. Transportation fees are not included. It is easy to pay transport costs as you go. This model itinerary can be done guided or self-guided. 1. Self-guided. Use the detailed information online and onsite to complete your walk independently. 2. Guided. Hire a local guide to have some comradery on the trail while experiencing the region’s rich culture. 3. Partly-guided. Or have the best of both! Hire a guide for the first day to get you going and then complete the itinerary on your own. NOTE: The itinerary below is based on option 1. Self-guided. There are a few options for your luggage. 1. Daily Luggage Shuttle. Luggage is transferred to your accommodation everyday (This is often the most popular option. If required, please book when making your accommodation reservations). 2. Luggage Storage. Leave your luggage at the KUMANO TRAVEL Support Center in Tanabe to be picked-up after your trip. 3. Luggage Shipping. Send your luggage from the KUMANO TRAVEL Support Centerin Tanabe to your final destination and only carry with you what you need during your visit. NOTE: The itinerary below is based on option 1. Daily Luggage Shuttle. Options 2. Luggage Storage and 3. Luggage Shipping can be arranged onsite without reservations. Immersing oneself in local cuisine is part of the Kumano experience. 2. Lunch Boxes. Lunch boxes are provided by most accommodations along the Kumano Kodo (in the Hongu area can be delivered to your lodging in the morning). 3. Special Dietary Needs. Special meal requests such as vegetarian or specific allergies must be made at the time of booking. Vegetarianism is not common in Japan, especially in the countryside, so please double-check to confirm which types of vegetarian meals are available. Often being able to eat trace amounts of the ubiquitous Dashi fish stock makes it easier to find options. NOTE: The itinerary below is based on meals supplied 1. At Accommodations with 2. Lunch Boxes when available. DAY ONE is a transfer to the trailhead at Takijiri-oji by train and bus, followed by a shorter but steep walk on the Kumano Kodo to the Takahara Settlement. NOTE: The Kumano Kodo is a mountain trail, therefore walking times vary greatly depending on weather, season, personal experience, and fitness. Please plan accordingly for a safe walk, as many people underestimate the difficulty of the terrain. 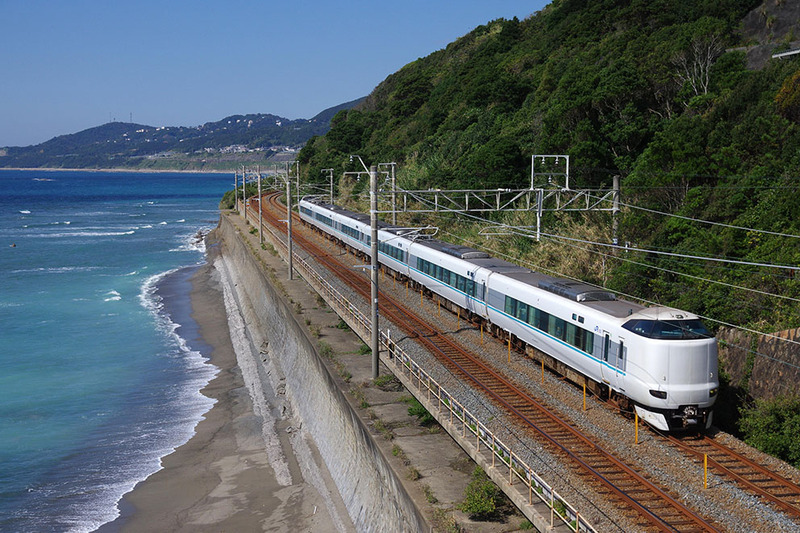 The JR train travels down the west coast of the Kii peninsula. As you head south the scenery changes dramatically from the large urban centers to agricultural and natural regions, with distinctively less populated mountains. Watch for terraced orange and ume orchards along the way. TIP: Sit on the right hand side of the train for the best views. 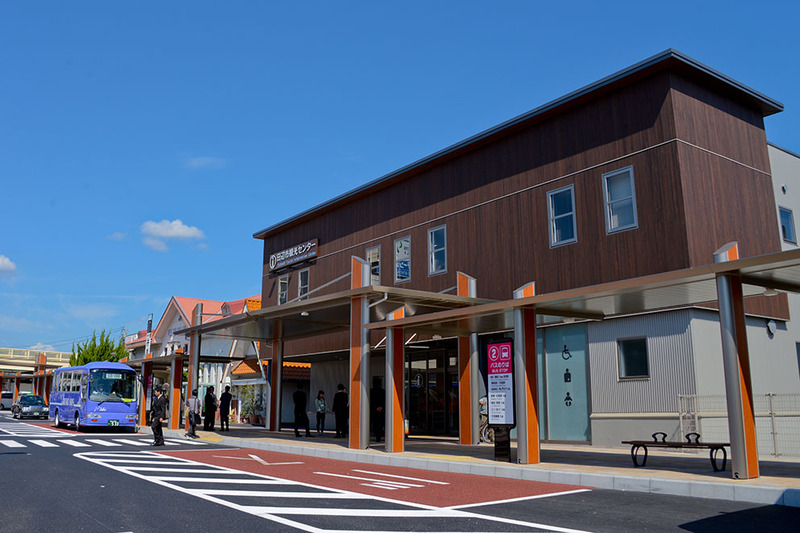 This information center is next to the Kii-Tanabe station as you exit on the left. There are paper copies of maps and transportation timetables as well as Dual Pilgrim credential to collect stamps along the trail. This is the best place to get the most up-to-date information before you begin your walk! The Kumano Travel Support Center is near the station featuring local souvenirs and outdoor goods. Luggage storage and shipping services are available at the onsite travel desk. Drop your bags off at the Kumano Travel Support Center and they will be delivered directly to your accommodation. At a restaurant, or buy something to go. Ask at the tourist information center for ideas. Busses depart from bus stop two in front of the station. NOTE: You can buy your bus ticket at the vending machine in the information center. The round Kumano Kodo Kan Pilgrimage Center is located across the river from Takijiri-oji. There are introductory exhibitions in Japanese and English about the pilgrimage route. Toilets and vending machines are available. Takijiri-oji is one of the main trailheads of the Nakahechi route. It is here that the passage into the sacred mountains begins—the entrance to the abode of the gods and Buddhist paradises of rebirth. There were once extensive halls, a bath house, lodgings for pilgrims, and residences for priests, priestesses and monks in the area. This is a short but steep uphill walk from Takijiri to the ridge top settlement of Takahara. The trailhead is located behind the Takijiri-oji shrine pavilion. NOTE: The trail starts off with a challenging grade so set a slow, easy pace, watching your steps on the rocks and roots. Takahara is a small settlement on a ridgeline with panoramic views of the Hatenashi mountain range. It is the site of the mystical Takahara Kumano-jinja shrine, one of the oldest buildings along this section of the pilgrimage route. The shrine grounds are home to giant camphor trees, over 800 years old! 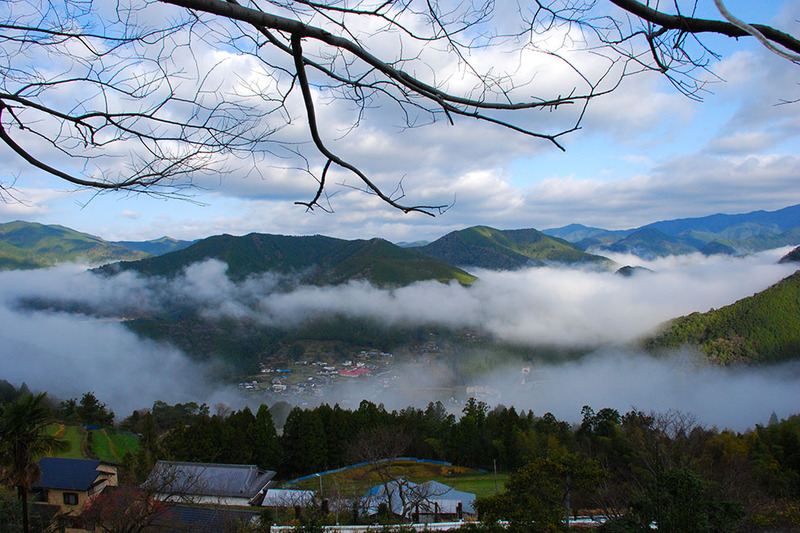 Takahara is known as "Kiri-no-Sato" (Village in the Mist) because the scenic vistas are often blanketed with mist. The valley below dramatically fills with fog, creating a beautiful sea of clouds. There are a few options in Takahara including the Kiri-no-Sato Takahara Lodge and smaller facilities, such as rental houses. DAY TWO is a full day walk on the Kumano Kodo pilgrimage route from Takahara to the Nonaka area, passing through the village of Chikatsuyu. Pick-up lunch box at accommodation. This walk continues into the forested mountains east of Takahara climbing up and over ridges into the next watershed, descending into the village of Chikatsuyu. The Nonaka area is another ~3 km further along the trail on an old highway. NOTE: The Michi-no-Eki rest area near numbered signpost 23 sells drinks, snacks, and simple meals. Picnic lunch along the trail or at Michi-no-Eki rest area. The village after Takahara is Chikatsuyu where the clear Hiki-gawa river runs through the valley. On the east side of Chikatsuyu-oji is Hashiori-jaya cafe, a small and cozy spot for a break. Or a little further on the Chikatsuyu Experience Center's restaurant called Kotorinoki housed in a renovated historic home. Pass through Chikatsuyu towards Tsugizakura-oji. Tsugizakura-oji is a small shrine featuring gigantic old-growth trees, with branches facing south, drawn by the power of Kannon's southern paradise. Directly below Tsugizakura-oji is the Nonaka-no-Shimizu spring, a nice stop to fill up a water bottle. There are a few options of small family run guesthouses in the Nonaka area. This is a challenging full day walk with many climbs and descents, finishing at the Kumano Hongu Taisha. The mid-section is a permanent detour over the pass. The trail from Hosshinmon-oji to Hongu is popular with a diversity of forested trail and settlement scenery. There are a few ways to shorten this walk, three options are outlined below. Feel free to choose which option on the day of your walk. Best to start early if attempting the full walk. 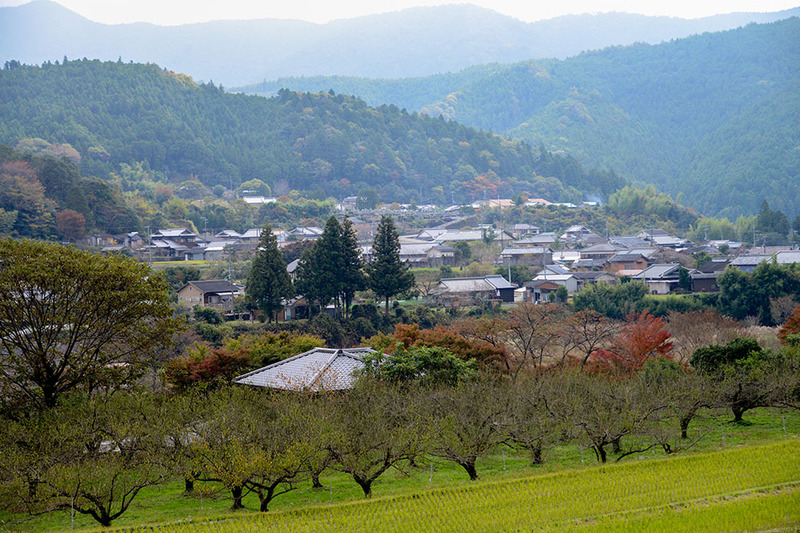 The section from Hosshinmon-oji and Hongu is popular with a diversity of forested trail and settlement scenery. This a good option to give more time to experience the shrines and sites in Hongu. 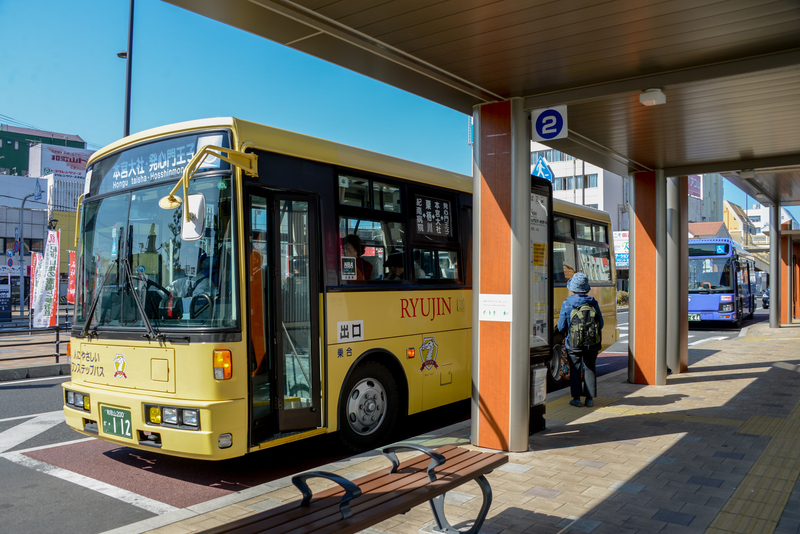 Take a local bus from Nonaka Ipposugi to Hosshimon-oji. NOTE: With this shorter walk often people include the Dainichi-goe route in the afternoon (Hongu to Yunomine Onsen) (~2 km, 1~2 hr). Picnic lunch along the trail. 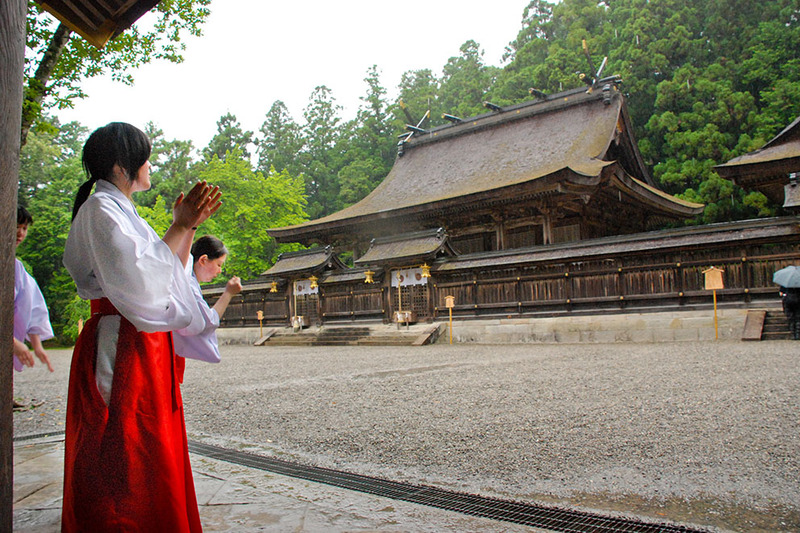 One of the three grand shrines, Kumano Hongu Taisha stands on a small ridge line in the north of the Hongu village. The austere pavilions are made of wood with impressive cypress bark roofs; it's architecture style dating back over 800 years. Watch for the sacred symbol of Kumano, the Yatagarasu three-legged crow. This visitor center is on the east side route 311 across from the Kumano Hongu Taisha grand shrine. It has detailed information and exhibits about the area in English. NOTE: Registration as DUAL PILGRIM takes place here. It takes at least 15 minutes and cannot be mailed out. Kumano Hongu Taisha was originally located at Oyunohara, a sandbank at the confluence of the Kumano-gawa and Otonashi Rivers. Legend has it that the Kumano deities, in the form of three moons, descended into the branches of a giant oak tree in this clearing. 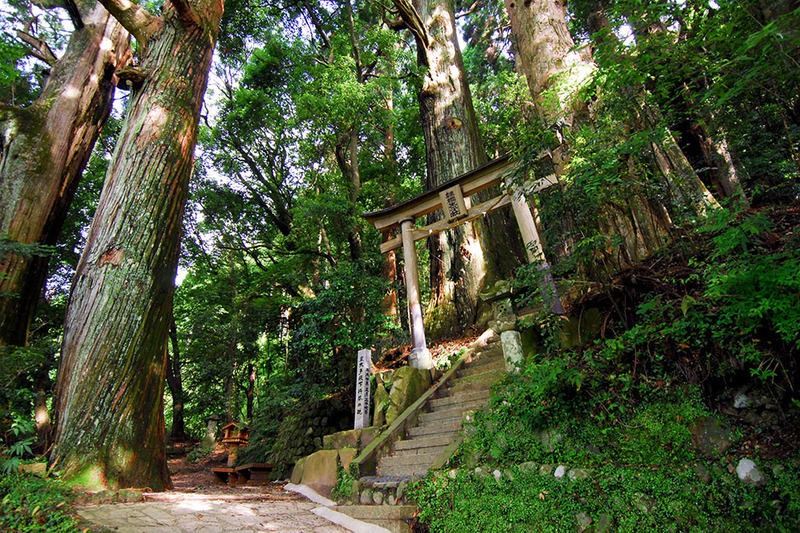 All of the Kumano Kodo pilgrimage routes lead to this sacred site. The entrance to Oyunohara is marked by the largest Torii shrine gate in the world (33.9 meters tall and 42 meters wide). It is a formalized gateway that designates the entrance to a sacred area and signifies the division of the secular and the spiritual worlds. Busses depart from in front of the Kumano Hongu Heritage Center. NOTE: After the 16:58 bus there is a long wait until the next one. 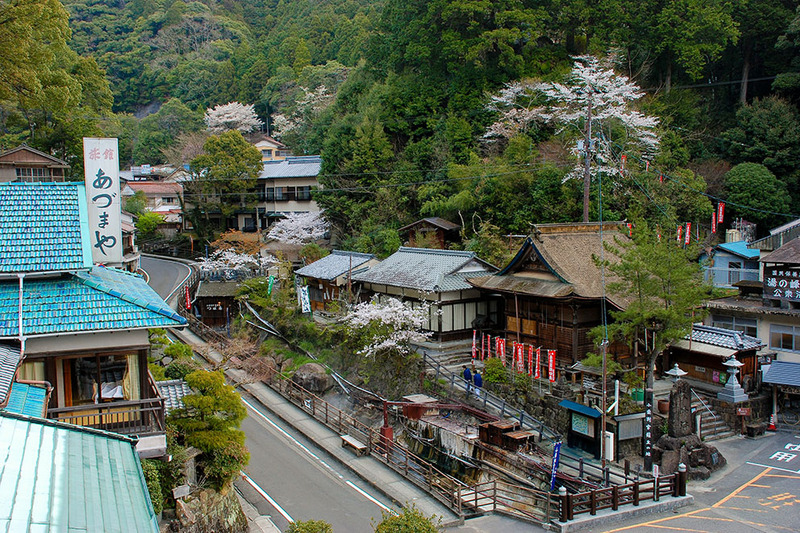 Yunomine Onsen is one of the oldest hot springs in Japan and directly connected with the Kumano Kodo. It is a quaint little collection of inns tucked into a small valley. Tsuboyu is an historic bath which was used by pilgrims past to purify themselves with the hot water. Tickets are sold at the booth next to the temple. There is a diversity of accommodations in Yunomine Onsen such as Ryokan inns, Minshuku lodgings, each with their own hot spring baths. DAY FOUR is a transfer from Yunomine Onsen to Kii-Tanabe by local bus and then a train to next the destination. 1. Staying another night in the Hongu area. 2. Continue south to complete the circuit of the Kumano Sanzan Grand Shrines. 3. Heading north to Koyasan, a Buddhist monastic village. *Requests must be made 10 or more days in advance. Would you like a local guide? Do you need daily luggage shuttle? Would you like to see only main suggested plans? Vegetarianism is not common in the Japanese countryside. Please double-check the Vegetarian Type which the service provider can accommodate to make sure that it meets your needs. Often being able to eat trace amounts of the ubiquitous Katsuo Dashi (fish stock) makes it easier to find options. NOTE: It is difficult and not culturally sensitive to change meal requests, or make new meal demands, onsite when you arrive at accommodations. Vegetarian types must be confirmed during the reservation process and respected during your visit.